Birch River drops over a falls near Herold, W.Va. Photo courtesy Rick Burgess. The Birch River descends westward from the foothills of the Allegheny Mountains to join the Elk River in central West Virginia (WV). Its narrow and boulder-strewn valley courses through parts of Clay County, Braxton County, Webster County, and Nicholas County. Its drainage basin extends from 2,792 feet above sea level near Cowen, West Virginia, to 1,120 feet at its mouth on the Elk River near Glendon. 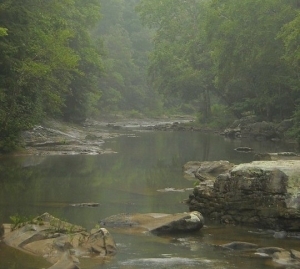 The river is among the shortest streams in the state that is designated a river. The Big Ditch Wildlife Management Area is located near the source of the river. The upper two-thirds of the stream fall through tight forest valleys hemmed between high mountains, such as Powell Mountain. The lower third winds through a hilly woodland of ridges. The Little Birch River is its largest tributary. The river was likely named for birch trees that grew along its banks. William Dodrill was the first settler along the Birch River in 1799. Dodrill founded the town of Boggs along the upper Birch. Though Indians did not reside in the area during European settlement, there is evidence of prehistoric habitation. Timbering was a profitable industry along the Birch in the late 1800s and early 1900s, and the river was used to float timber downstream to the Elk River during times of sufficient water flow. 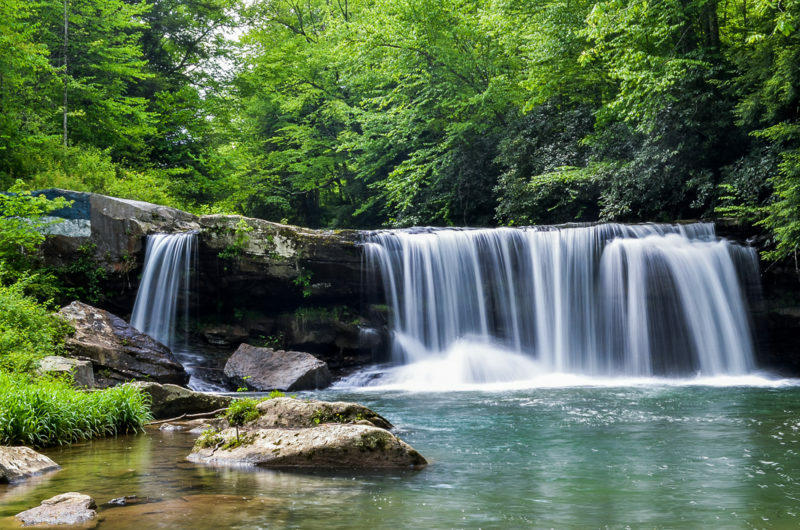 Information on lodging, dining, and recreation on and near the lower Birch River may be found in our guide to travel in the Heartland Region, in central West Virginia, through which the lower Birch River descends. Information for the uppermost river may found in the Allegheny Highlands Region, in east-central West Virginia.